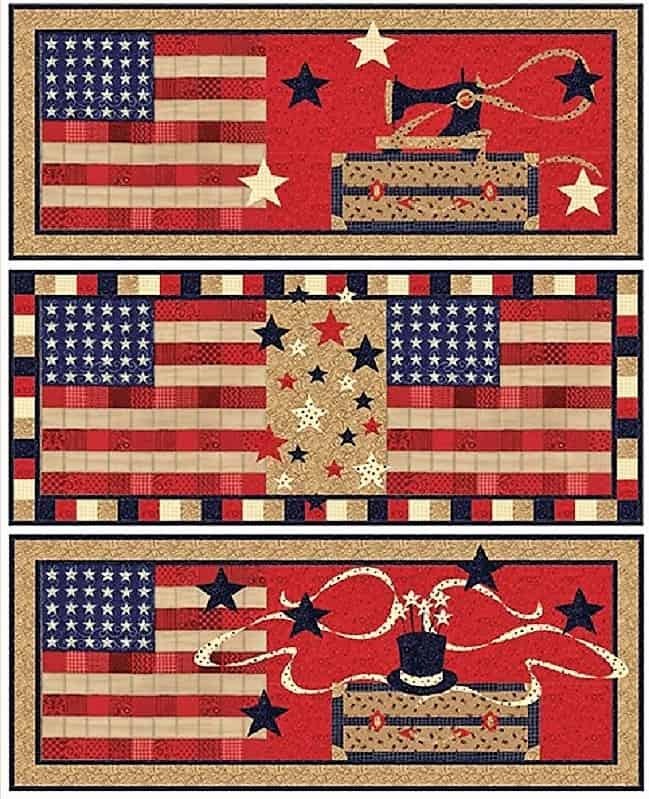 American Quilter Table Runner QUILT KIT – Quilt Pattern + Moda Patriotic Sew American Fabric + BONUS ! All fabric is from Moda’s new Sew American Collection. 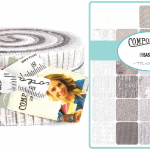 Kit includes pattern, all the gorgeous Moda fabric you need for your table runner quilt top and the binding. Finished table runner measures approx. 60″ x 24″. Backing and batting not included. Fabric is 100% premium quality Moda cotton fabric. 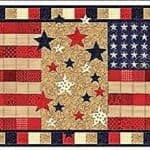 BONUS: Two additional quilt patterns are included. See pictures of the bonus table runner patterns above.